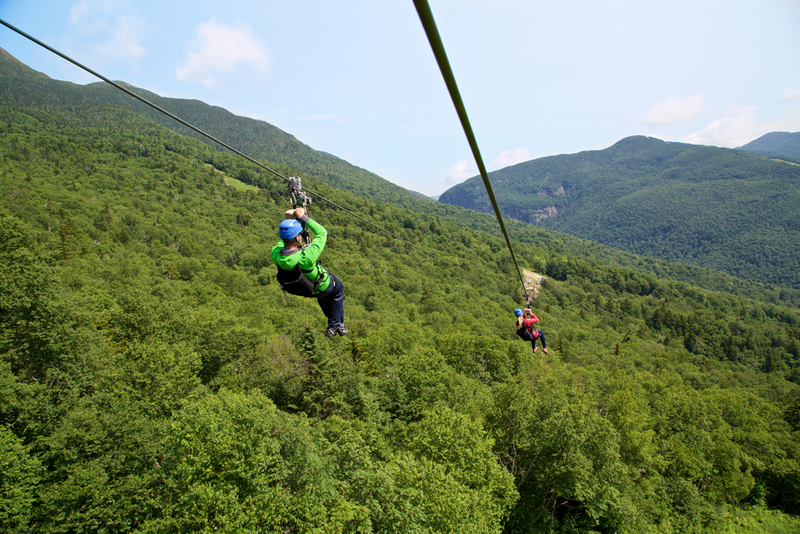 The Stowe ZipTour® zip line experience begins with a training session and demo zip at the base of the mountain. 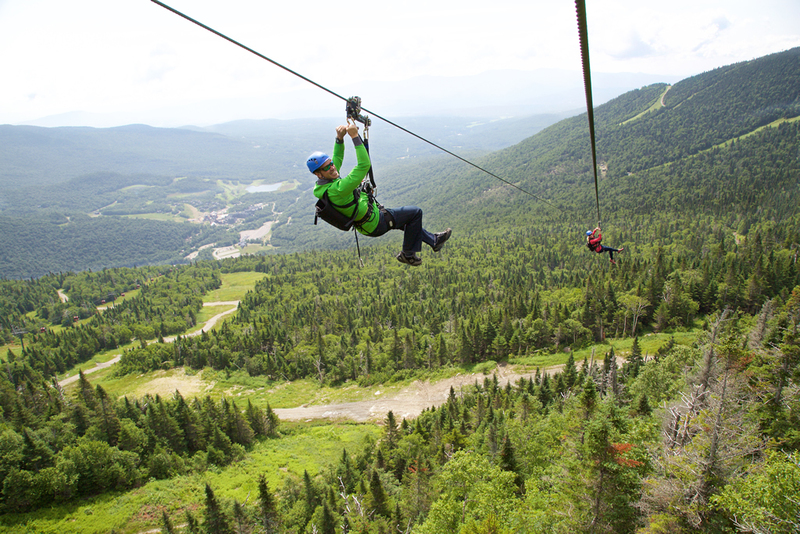 Guests then ride the high-speed summit Gondola to the top of the ski area, near the top of Mt. 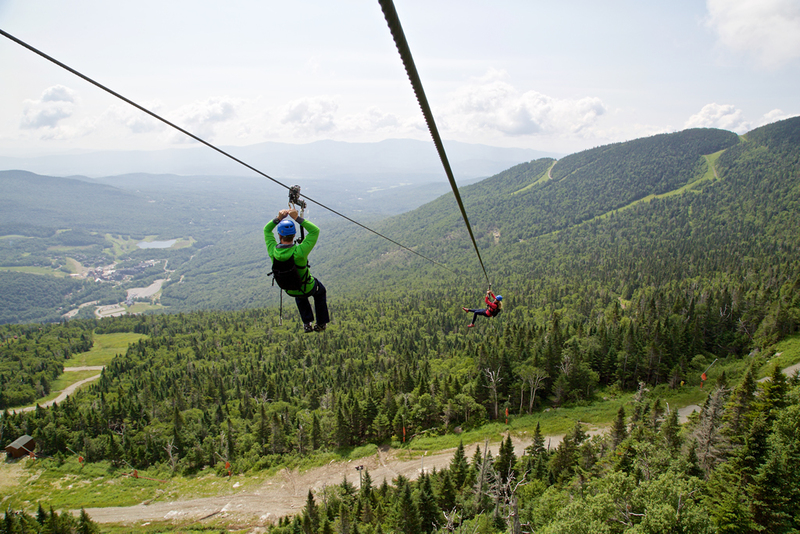 Mansfield, Vermont’s highest peak. 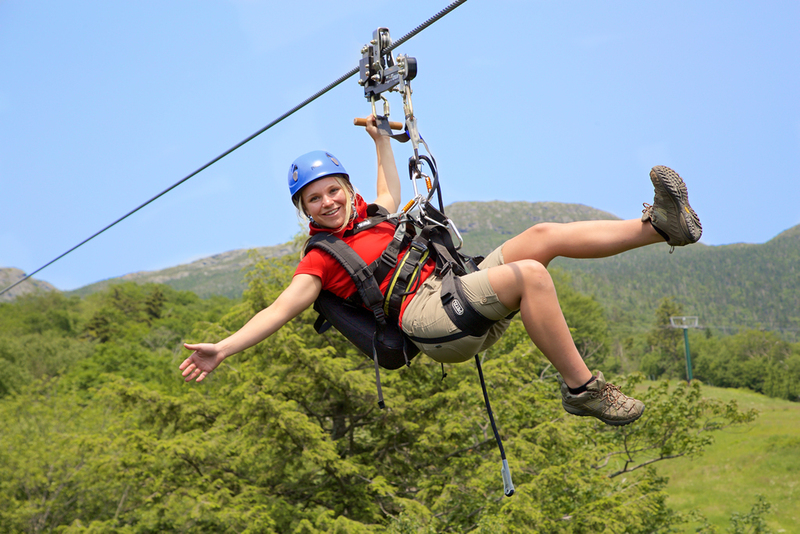 Once atop, the ZipTour® consists of three zip line spans, each with two cables side-by-side, totaling 10,193’ feet of riding cable (just under two miles in length), making it the 2nd longest zip line tour in the United States. 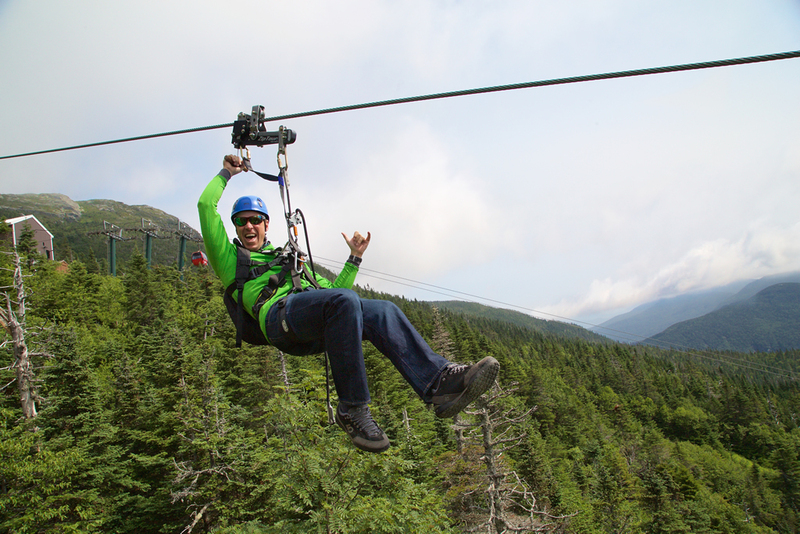 Customers begin their ZipTour® journey down one of the longest zip lines in the USA, the Nosedive Zip. 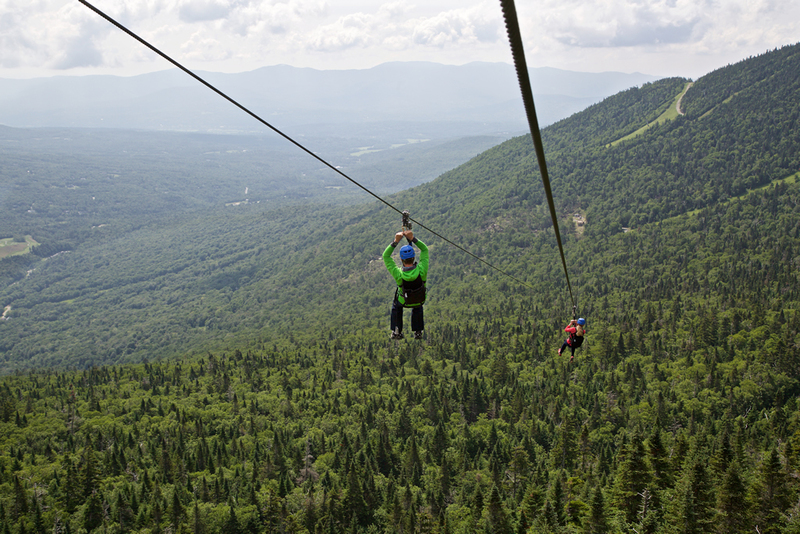 At almost 4,500 feet in length, this zip line is the 3rd longest in the contiguous USA. The views, as you can see from the photo gallery below, are incredible. 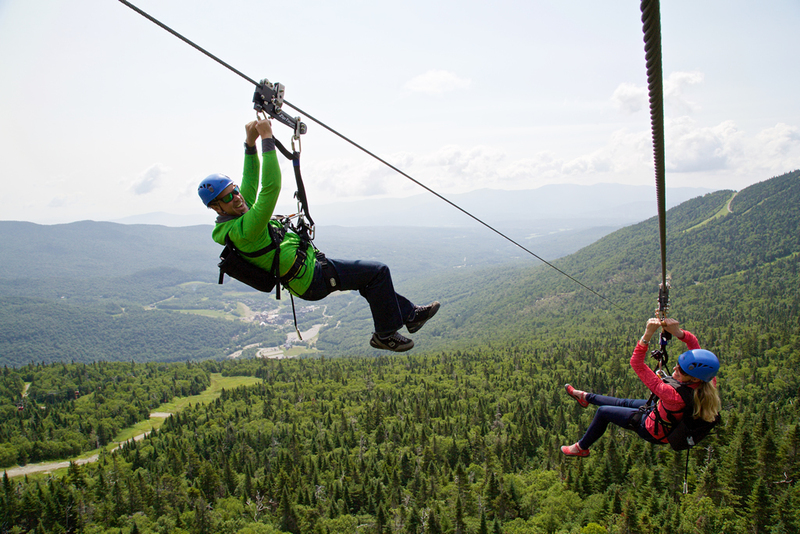 Every span of the ZipTour® has 2 cables side by side so guests can enjoy this adventure with a companion. 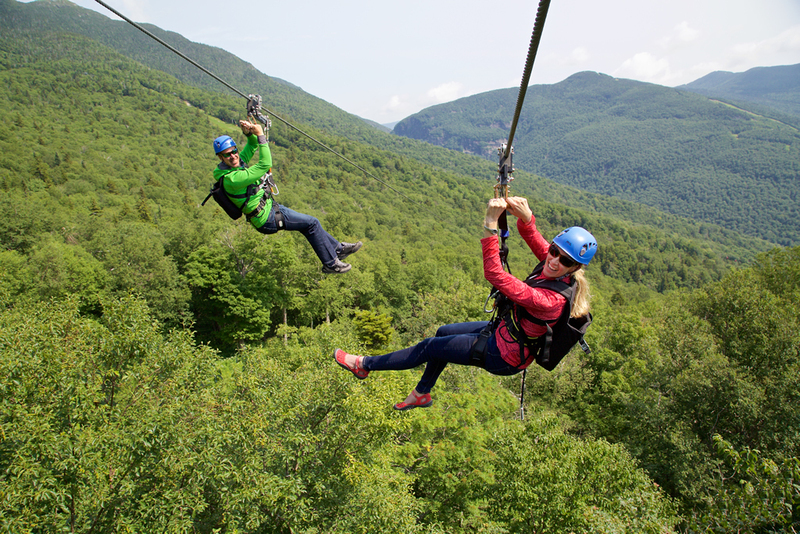 The second span of the Stowe ZipTour®, the Haselton Zip, looks directly across at the famous Smuggler’s Notch, which is a narrow pass through the Green Mountains. 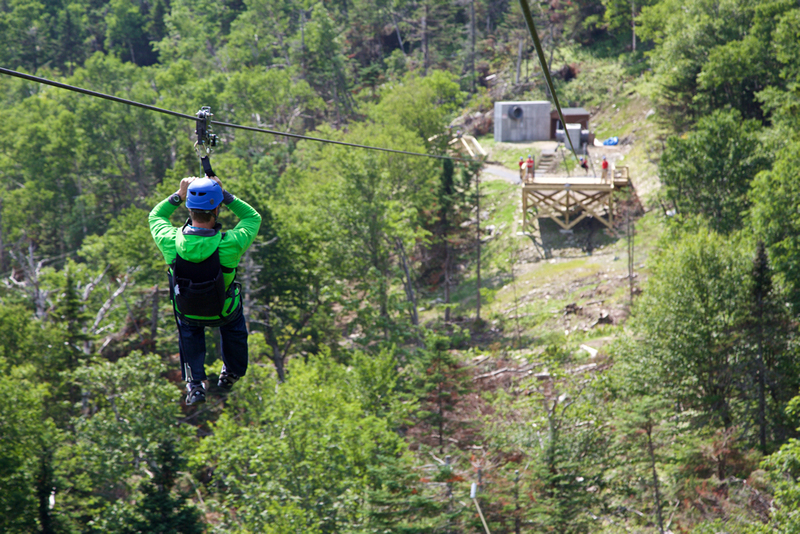 This span is all trees and sky, until you look to your right and see the resort base area far below. 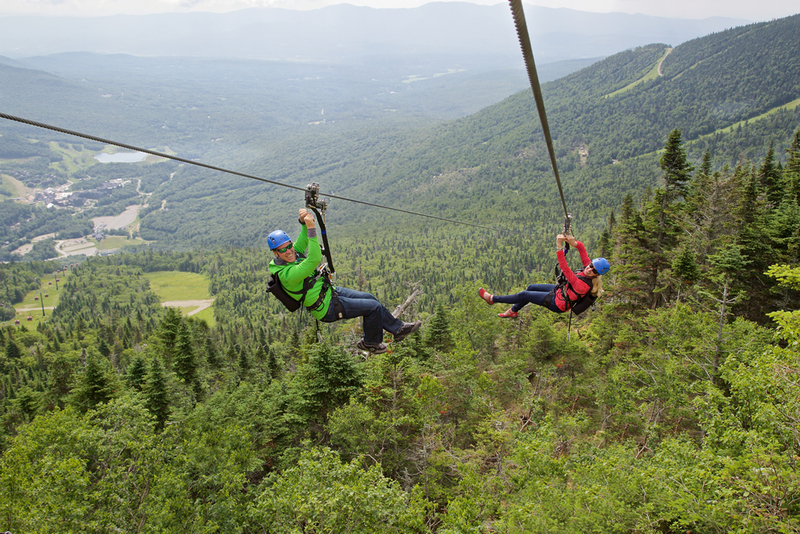 The third and final span of the Stowe ZipTour® is the Perry Merrill Zip. 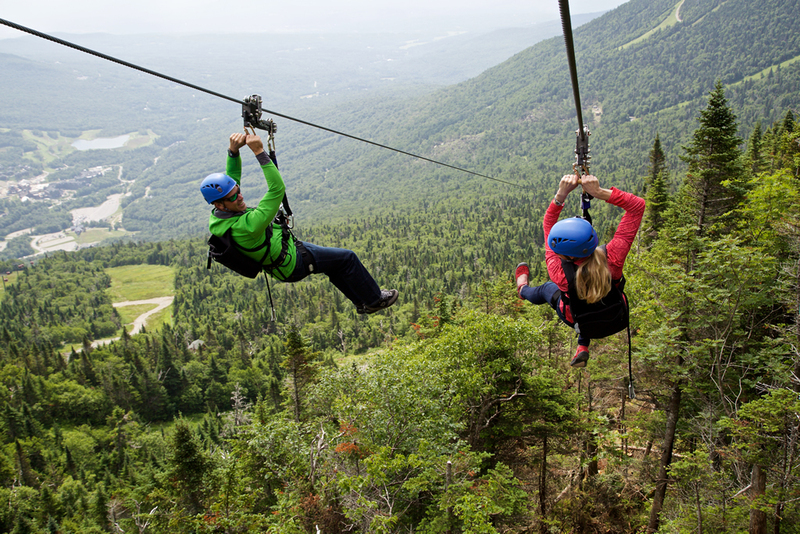 This zip line is also one of the longest zip lines in the country. 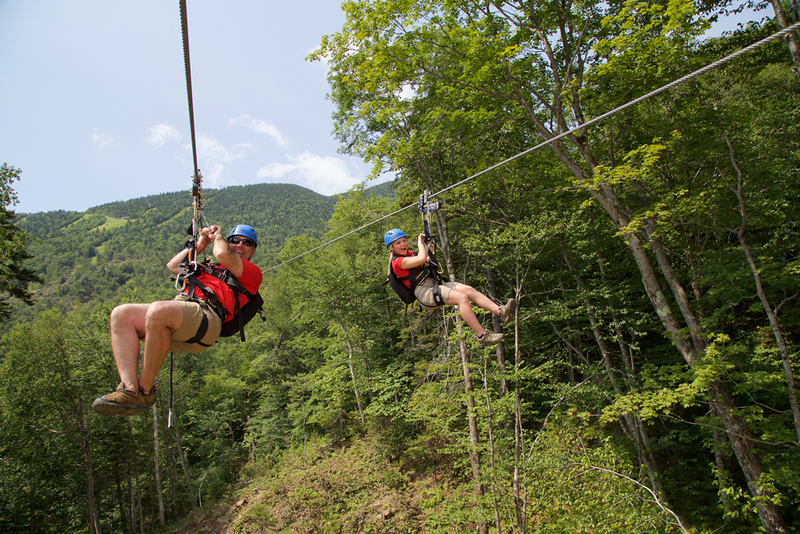 The ride experience on this span is exhilarating as you fly through the trees on the way down to the base area, which really gives you an amazing sense of your speed. 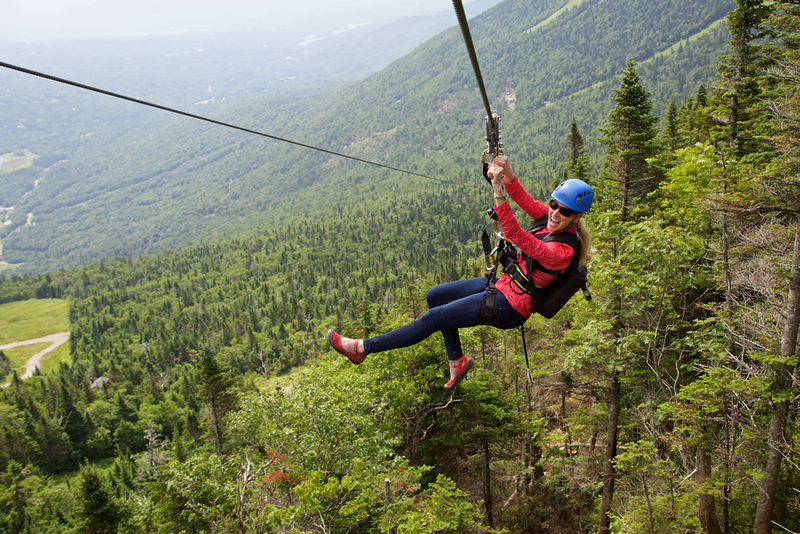 This ZipTour® is almost 2 miles in length and is one of the longest zip line tours in the country. 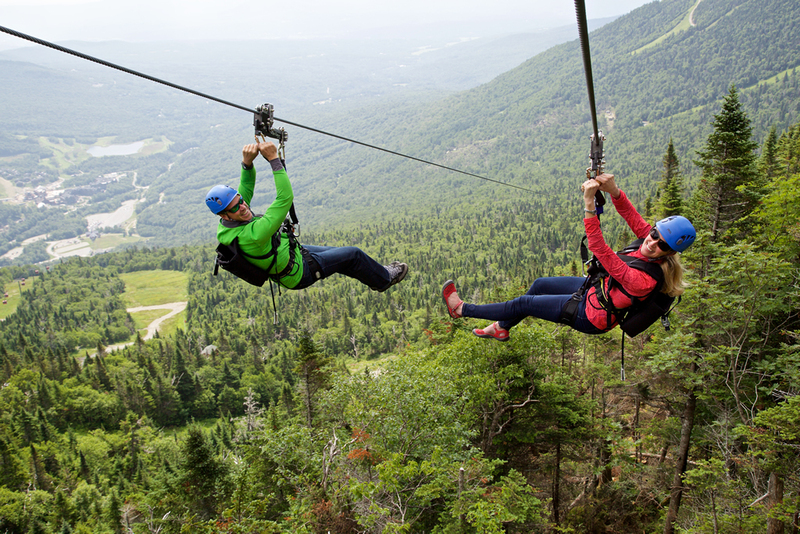 The Stowe ZipTour® is the ultimate point-to-point sky adventure, and follows a natural and fluid pathway from Mt. 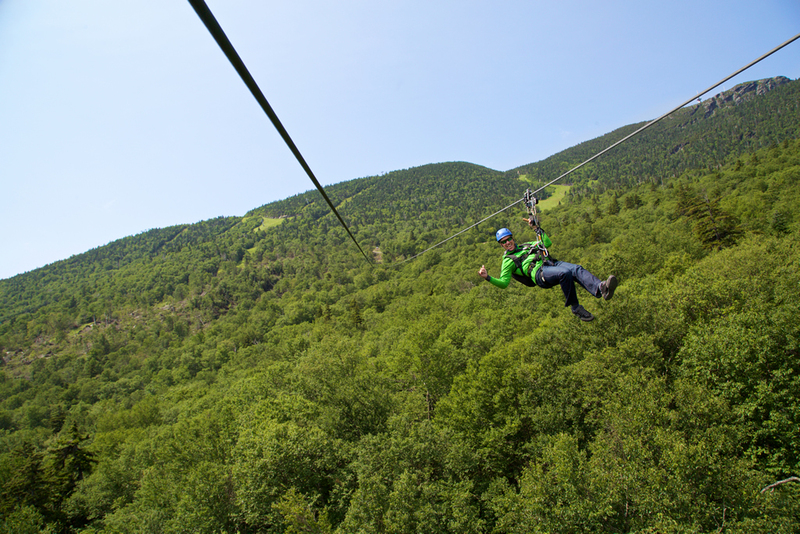 Mansfield down to the Stowe Mountain Resort base area. 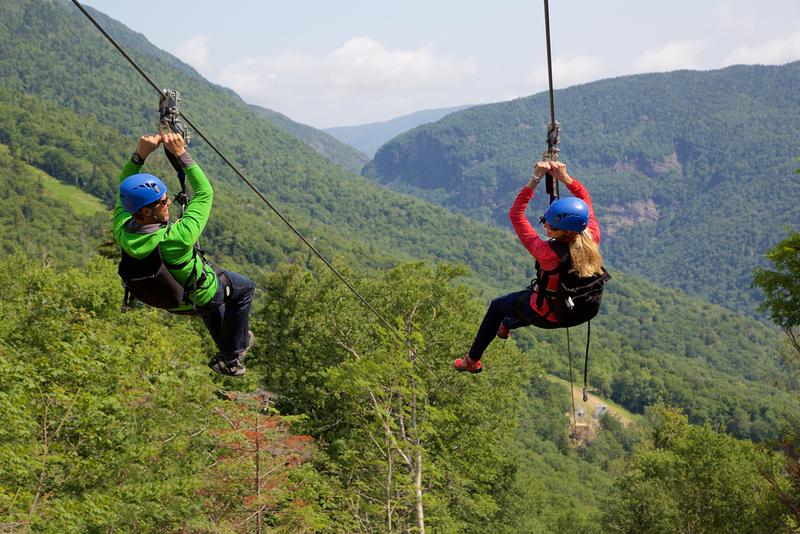 It is an incredible experience!